In a step to ensure even more students leave school financially literate, a digital teaching tool has been translated into te reo Māori. Banqer, which is designed to teach students in years 2 to 8, is now being piloted in five kura kaupapa across New Zealand. It was previously only available in te reo Pākeha, but the company did not want to exclude an entire part of the education system. Banqer CEO Kendall Flutey called it “one of the most important decisions I’ve made to Banger to date”. She added, “Given the impact that Banqer has on the lives of students I didn't want to restrict who had access to it. All students should have the right to financial education that works for them. "When Banqer was first approached by kura kaupapa and immersion schools about whether it was available in te reo Māori, it opened my eyes to the fact we were denying tauira this right.” Banqer is working collaboratively with kura kaupapa to ensure it is appropriately contextualised for te ao Māori (the Māori world view) and the kura kaupapa education system. Banqer has also engaged with iwi groups, translators and other key stakeholders. Flutey added, “Our translators have told us financial literacy conversations aren’t often had in te reo Māori, and many financial wellbeing studies demonstrate that Māori feel less financially capable than other New Zealand populations. “This commitment, to provide quality financial education in te reo Māori, in a way that works for Māori learners, makes me very proud. It also relates strongly to my identity and what I want for the future of Aotearoa.” Banqer transforms classrooms into a virtual economy. Teachers set up a currency and facilitate real-life situations over the course of the school year to enable students to learn about growing money, debt, interest, tax, KiwiSaver and insurance. The programme is aligned with the New Zealand curriculum. 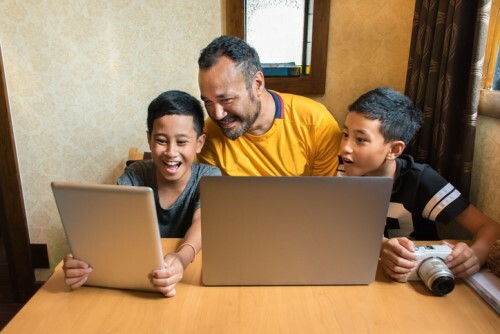 Kiwibank, which is in its third year of partnering with Banqer, recently re-committed to funding the digital teaching tool so that 3,300 Kiwi classrooms can access the platform for free in 2019, up from 2,100 classrooms that were funded in 2018. Kiwibank’s Group Manager People and Communications Danielle George said, “At Kiwibank we strongly believe kids need to be more financially capable to thrive in today’s world. Our ambitious goal in partnering with Banqer is to create a generation of school leavers that are financially capable and confident.